Carnival Corporation has announced it will add two ships to its China fleet in 2016, making it the first global cruise company with six total ships based in China. The move will increase Carnival Corporation’s total capacity in China by an additional 58 percent in 2016, further accelerating the company’s leadership position in the growing Chinese market, which continually delivers double-digit annual returns and is expected to eventually become the largest cruise market in the world. Carnival Corporation’s fleet of six China-based ships will include expanded offerings from its two leading brands in the market – Costa Cruises and Princess Cruises – that are each adding one new ship to meet growing cruise demand in China. Across the two brands, Carnival Corporation will have three year-round ships and three seasonal ships in the market, representing the largest cruise presence in China in 2016. Together, the Costa and Princess brands will potentially offer about four million passenger cruise days in 2016, giving Chinese guests more choice and flexibility in both the contemporary and luxury segments. Based on the accelerating consumer demand for cruises in China, Carnival Corporation’s added capacity is expected to significantly increase the company’s total number of cruise passengers in China in 2016. Included in this new deployment is today’s announcement made during a press conference in Beijing that Princess Cruises will send its Golden Princess ship to northern China in 2016, sailing out of Tianjin on a seasonal basis, with itineraries visiting a variety of desirable destinations in northern Asia. Golden Princess joins the brand’s first China-based ship, Sapphire Princess, which has been homeported in Shanghai since 2014 and will start sailing year-round in China in 2016. 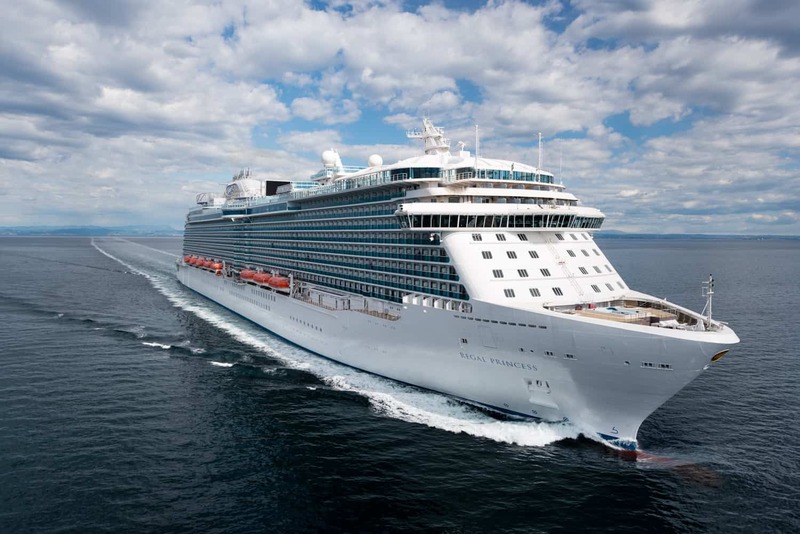 The brand’s two-ship deployment in 2016 will more than double its total available guest capacity in China compared to 2015, putting Princess Cruises in an even stronger position to serve the luxury cruise segment with its exclusive Princess Class experience designed specifically for the Chinese market. Costa Cruises, a leading cruise brand in China and the first global cruise brand to introduce cruising to the market in 2006, recently announced it will debut Costa Fortuna in April 2016 as its fourth ship based in China. Costa Fortuna joins Costa Serena, Costa Atlantica and Costa Victoria already based in China, increasing the brand’s total available capacity in China by 43 percent in 2016. “Our Costa and Princess brands are performing extremely well in China, and these new ship deployments will strengthen our growth position and enable us to carry nearly one million passengers in 2016, as we continue executing our plan to meet surging consumer demand for cruising in China,” said Alan Buckelew, chief operations officer for Carnival Corporation. Carnival Corporation is also exploring potential joint ventures in China with China Merchants Group (CMG) and China State Shipbuilding Corporation (CSSC) designed to accelerate the growth of the overall cruise industry in China, including the possibility of launching a world-class Chinese domestic cruise brand, building new ships in China, and supporting port and infrastructure development. These efforts support Carnival Corporation’s commitment to help China realize its goal to develop cruising as a key economic driver for its economy and become one of the leading cruise markets in the world.